She flies as a “stunt pilot” for major motion picture and television projects, supports worthy causes in Africa, a demo pilot and has even turned her flying skills to fighting fires in California USA. 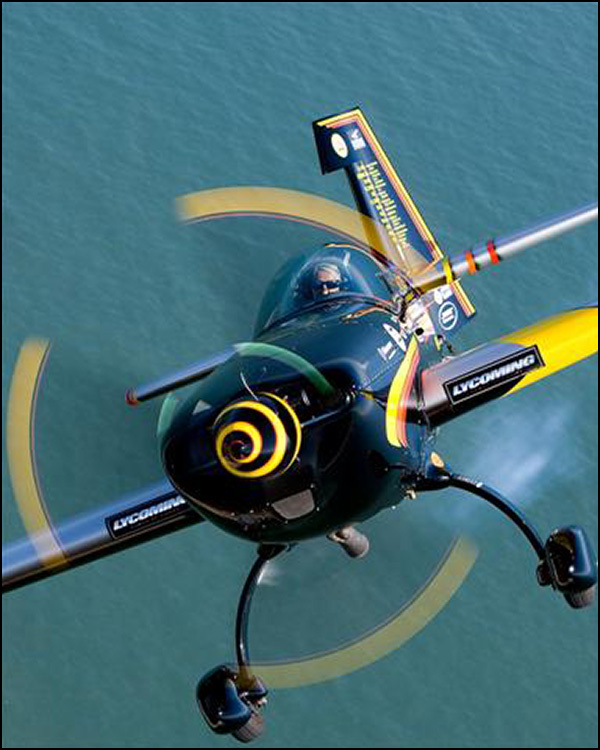 Patty is one of the world’s top airshow pilots, demonstrating before millions of people each year and now teaches others ‘how to do it’ at the “Patty Wagstaff Aerobatic School” in St. Augustine, Florida. Patty has earned her position as one of modern aviation’s most recognized trailblazers and ambassadors, a woman dedicated to the sport and art of aerobatics. Patty was basically born and raised in an aviation family. Her Dad worked for Japan Airlines and she would sometimes sit with him in the cockpit of the DC-6 and DC-7. She didn’t start flying until moving to Alaska for her work as an economic development planner. As the means for moving around, she hired an air taxi in Alaska which crashed. She decided to fly herself. When she was just starting out, Patty had difficulties just like any other student pilots. One of her biggest challenges was trying to find the runway when landing. She also mentioned that flaring can be very challenging for her at first. Patty has flown at 150 types of aircraft in her whole career. She loved flying the Extras because it was well-built and incredibly strong. The most exciting aircraft for her was the P-51 Mustang for its performance, appeal, and history. She wouldn’t fly certain types of planes, one of which is the Rebel Kit Plane. Don’t worry where it’s gonna take you. As long as you enjoy doing it, it’ll take you where you need to be. When she first took lessons, she didn’t know where it’s going to lead her. She did not want to be a commercial airline pilot like her sister so decided to delve in to aerobatics by joining airshow competitions. She flew a Decathlon initially for aeros training and asked for guidance and help from the best people in the industry. She always took down notes for her flight routines and procedures. She joined the US aerobatic team for at least two years. 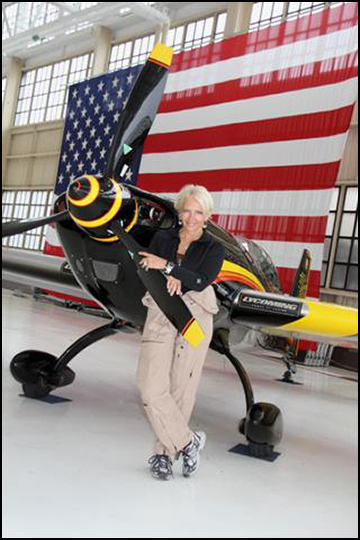 Patty was the first woman to win the US National Aerobatics Championship and she won it again, and again! A total of three times! Provided systems, recurrency & aeros training to the Kenya Wildlife Service who are fighting poachers, looking for injured animals and looking for lost tourists. Flew OV-10 Bronco firefighting in California for 3 seasons. Patty still does aerobatic shows and firefighting occasionally. Currently focused on her aerobatic school. Coaching, aerobatics, and airmanship training courses. Loves riding horses and taking care of her pet dogs. Patty’s proudest flying moment was winning the US National Aerobatic Championship for the first time. Expanding her aerobatics school to increase the quality of flying. Make better pilots with her airmanship training course. Unlike conventional aviation authors and instructors I do not teach primary flying, crop dusting, pipeline patrol flying, bush flying, helicopter medical evacuation flying, and air to ground gunnery using instruments inside the aircraft as the primary situational awareness tool. Rather I teach Dutch rolls, slow flight and stalls over the runway, the energy management turns, use of ground effect on all takeoffs, the brisk walk apparent rate of closure approach, hover taxi in fixed wing aircraft, and low level low power mountain flying using sights, sounds, smells, and kinetics. Sight is used 99.9% of the time looking at the ground. Airspeed, nor any other instrument is used in takeoff or landing. This text teaches the art of flying in the old style at low level using ground references. Its author has over sixteen thousand hours of flying Army helicopters, crop dusters, and pipeline patrol airplanes at three feet to five hundred feet above ground level. Phone Charger – In case Patty drops her phone during barrel rolls, it would still be hooked up to the charger. You can contact Patty via her email address by clicking HERE ( patty AT pattywagstaff.com ) .